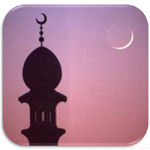 We are starting with the Ramadan Breeze Course which details all the essentials of Ramadan. Each subject has the necessary topics with suitable pictorial explanation. An activity is available at the end of each chapter to re-enforce the important points. Parents may need to help their children with the learning in order to enhance their understanding and implementation of the concepts in their daily lives. May Allah help them and guide them to put every bit of knowledge into practice and make them a Sadaqa-e-Jariyah for you. We have taken all care about the correctness of the subject matter and have tried to make it child friendly. Still if you notice any mistake or have any suggestions, kindly let us know through our contacts page. The Chapters for each subject are listed below. 01 – What is Quran ? 02 – How did the Quran reach Us ? 03 – Why Allah revealed the Quran ? 04 – Why the Quran is in Arabic ? 01 – What is Sawm ? 02 – What is Taqwa ? 03 – Alhamdulillah Ramadan is here ! 02 – What is Salah ? We hope that this course will inshallah benefit your children.